Stock market flotation put off as O2 waits to see effect of Brexit. O2 has postponed its planned stock market flotation over uncertainty fears caused by Brexit. Sources the Press Association claims that the operator, owned by Spanish company Telefonica, has moved its IPO to next year as it waits to see the effect Brexit will have on businesses across the continent. The flotation could have seen O2 valued at more than £10bn, making it one of the largest IPOs in UK history. Telefonica has declined to comment on today's report, but first announced plans to float O2 back in 2016 after seeing a merger with rival operator Three fall through following competition concerns from the telecoms watchdog. The company then reinforced its desire after O2 won significant chunks of 4G and 5G spectrum in auctions held by Ofcom earlier this year, which would have allowed it to strengthen its current position and plan for the launch of next-generation networks next year. Back in July, The Telefonica Group recorded Q2 revenues of €12.1 billion, a fall of 6.1 per cent, and profits of €902 million. 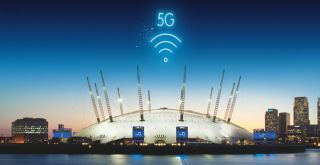 O2’s plans for 5G are already underway, with the company launching a testbed at London's O2 arena, and claims that the technology could save local councils and households £6 billion a year.